I know there is a lot of pea hate out there. I attribute that to the big mushy peas served in school cafeterias across the country. Those are dreadful and taste NOTHING like peas picked at the right time. I've grown garden peas and turned several pea haters to pea lovers. 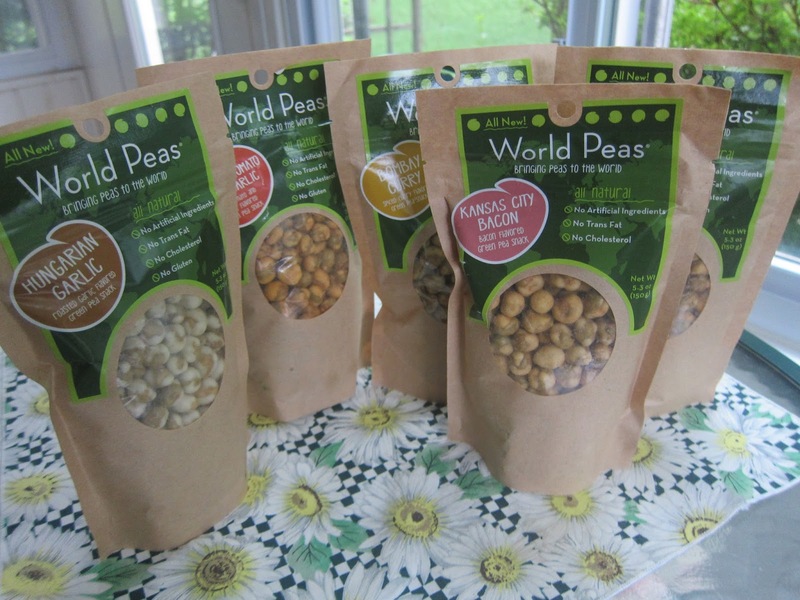 World Peas (Bringing Peas to the World) has set out to bring peas to everyone in a snack bag with a variety of different international flavors like Hungarian Garlic, Sichuan Chili and Bombay Curry as well as classics from the States like Ranch and Bacon. 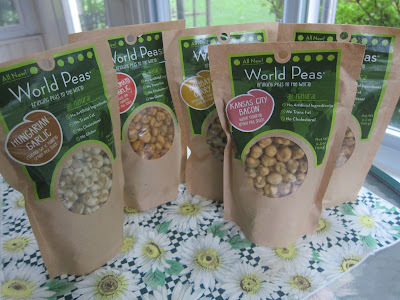 They peas are healthy all natural snacks and have antioxidants. You don't get any trans fat and no cholesterol. Some of the varieties are gluten free and some Kosher (but not all - so double check). 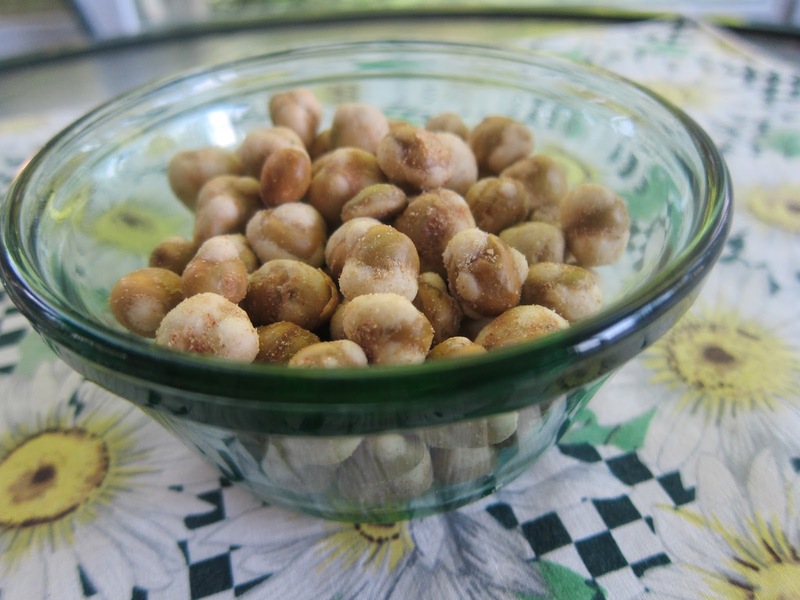 If you've had Wasabi peas, then you have the general idea here. But, World Peas are not shockingly hot. You get a range of flavors with some pretty strong and others quite mild. I like them all, but I think the Ranch may be my favorite. For grilling, you can add some crunch and flavor to your meats or vegetables by crunching up any flavor of World Peas. Just put some in a zip lock bag and use a rolling pin or mallet to make them into crumbles. 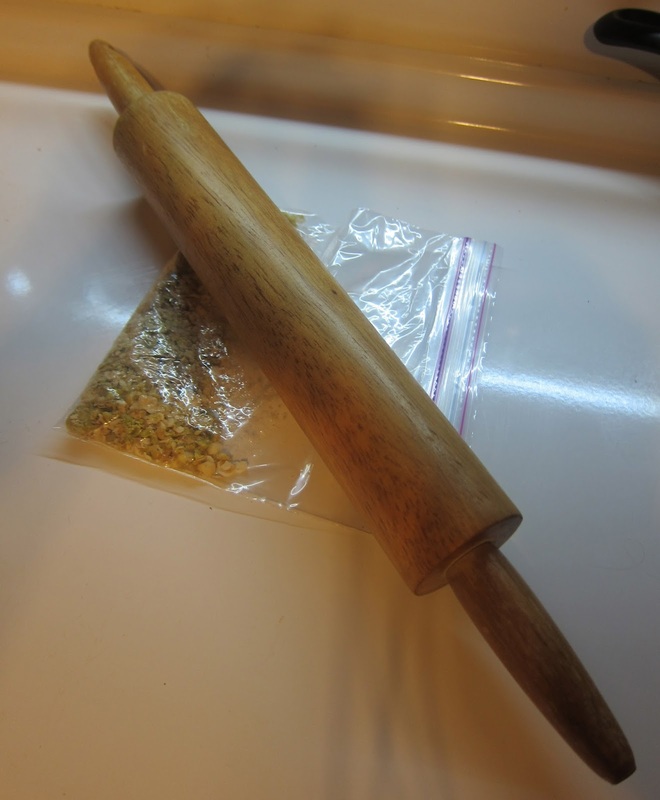 Of course, you need something to make the World Pea crumbles stick. In this case, I used olive oil, lime juice, and honey. 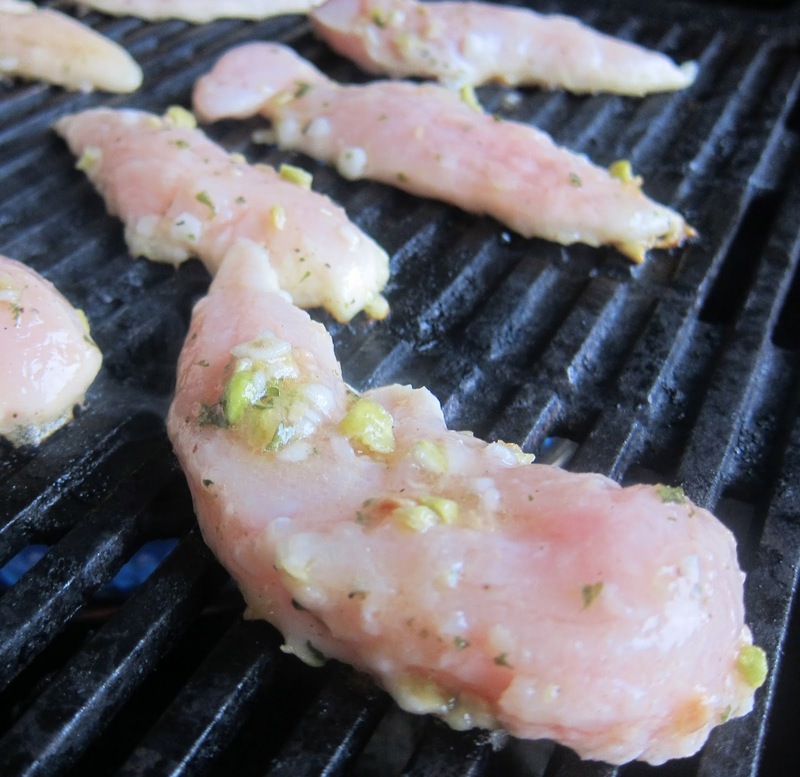 I let the chicken marinate in the zip bag about 30 minutes and then put them on the grill. Note that these are boneless chicken tender pieces so are small. I'd not put the oil and honey on beforehand if doing bigger pieces of chicken, or the outside would burn. 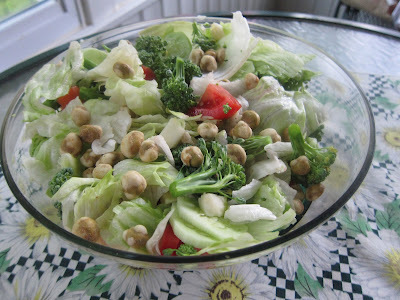 We've also enjoyed World Peas topped on salad. They give a nice extra crunch without piling on the calories. Here you see the Ranch flavor on a salad made from our garden. My son is a Ranch dressing fan from the get go, so he especially liked this flavor. I thought this was a great flavor as well. I also think the Hungarian Garlic is good on salads, and that is what I used on the grilled chicken too. Although I've used the peas in some dishes, they are great right out of the bag. It takes a long time to smoke large cuts of meats, and the peas make a nice snack. They are easy to carry. They don't spoil. They are not messy. And, they taste great. I've put them out as an appetizer for cook outs, and they are quite popular with friends and family. The zip bags (which are actually easy to zip shut unlike most snacks I've found) that the peas come in are nice looking, but I like to put the peas in a pretty snack bowl for guests. If you don't have a nice little snack bowl, then this one came from Good Will and was a quarter. It matches my eyes, and it's one of my favorite bowls for one of my new favorite snacks.